Tongxiang Xiaoying Pollution Control Technology Co., Ltd.
Zhejiang Jianzhong Maritime Engineering Equipment Co., Ltd. was founded in 2005. 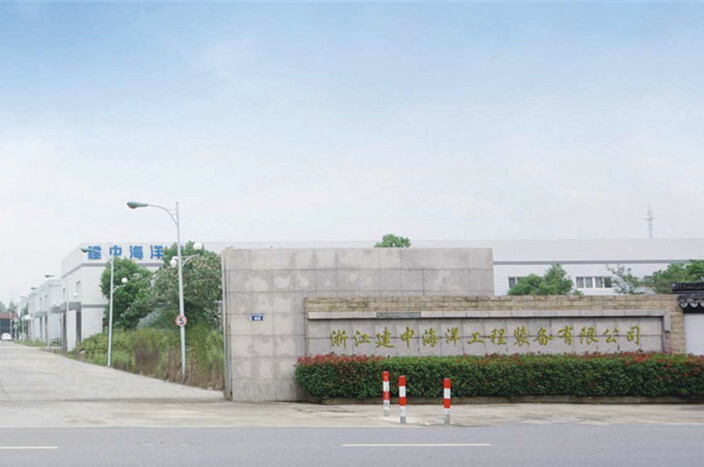 It became a joint-stock company as a result of the reorganization of the Wuzhen JXY Oil Absorbent Materials Factory and Tongxiang Xiaoying Pollution Control Technology Co.,Ltd. It has been in the offshore oil spill recovery industry since 2008 when it carried out a key technological research program of the Ministry of Transport in the National Eighth Five-Year Plan in cooperation with the ministry’s Waterborne Transportation Institute. It is one of the largest environmental-protection companies in China, engaging in the design, manufacture and installation of the oil spill control equipments as wells as their services. The company’s main products include Silt Curtain、Skimmers, Oil Booms, Storage Facilities, Oil Spill Monitoring Systems and Oil Spill Recovery Boats in six categories. The skimmer series includes the belt, side –hanging, weir, rope mop, vacuum and disk skimmers; The boom series includes inflatable, solid float, PVC, quick-laying, shoal booms and fireproofing booms; Accessories include oil spill emergency offloading pump, oil tank, recovery net, spraying device, cleaner, sorbent booms, absorbent rope mop, absorbent felt, oil dispersant, floating tank and positioning buoy; The oil spill monitoring series includes the intelligent monitoring and alarming system for offshore oil spills, the offshore oil spill monitoring buoy, the oil spill monitoring radar, the oil spill shifting model, the oil spill emergency response management and command system; The oil spill recovery boat series includes the single and twin-hull boats for the recovery of spill oils. We have a quick-response team for after-sales service. They are highly skilled and have rich experiences. We have taken part in many oil spill drills and oil spill control operations organized by the local governments and maritime departments. Our company has been registered with Zhejiang Maritime Safety Administration as a reserve force to respond to oil spills in the area under its jurisdiction. We registered with and recognized by the Maritime Safety Administration for the Yangtze River, the Jiangsu Maritime Safety Administration and the Shanghai Maritime Safety Administration for oil spill emergency operation. We can timely and effectively provide technical support and services to our customers.